Celebrate Christmas on January 7? Why celebrate Christmas on January 7th (or 6th)? Is that a typo? I’ve always wondered why the Eastern Church got the date wrong. Hint: It’s not a matter of who’s right and who’s wrong, but which calendar you are looking at. Huh?! Explanation: In the early-to-mid fourth century, Constantine and the Western Christian Church placed Christmas on December 25, a date later adopted by the Eastern church, based on the Julian calendar used at that time worldwide after being introduced by Julius Caesar in the year 46 B.C. The Gregorian calendar was only introduced by Pope Gregory XIII in 1582. (That is important to remember.) The Gregorian calendar has been adopted almost universally in western countries throughout the world. 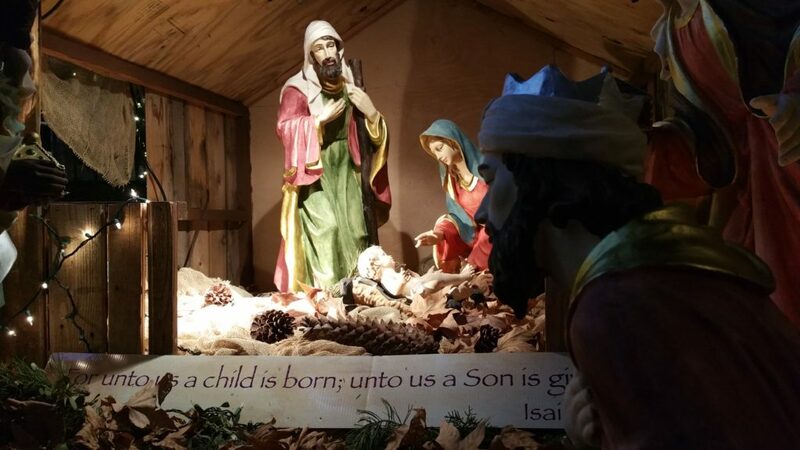 But Eastern Christian Churches still celebrate Christmas on December 25 based on the earlier Julian calendar which pre-dated the Georgorian calendar by 1628 years or so, but currently corresponds to January 7 in our calendar (the day after most western Christian churches celebrate “Epiphany,” the visit of the wise men to the baby Jesus). The story continues after the image below. Orthodox & Eastern Christians celebrate Christmas on December 25 too. It is not a disagreement over the date of Christmas (since all now agree it is on December 25th, even though Jesus was never really born on the 25th or even in the dead of winter), but rather a preference of which calendar we will use to determine which day is December 25. Technically we are the ones celebrating Christmas on the “wrong day” since the Catholic church moved its Christmas celebrations 13 days ahead to Dec. 25 when they switched calendars to one named after Pope Gregory XIII of Rome. Since the Eastern churches (after the Great Schism) rejected the pope’s authority, Eastern churches have stuck with their own older calendar (and dating of December 25th) for celebrating Christmas, even issuing “anathemas” against the Gregorian calendar by three Patriarchal and Pan-Orthodox Synods in Constantinople, as well as condemnations by many local synods. Great Britain didn’t switch over to a Gregorian calendar till 1752, and Russia ended up switching to the Gregorian calendar in 1918. Most Orthodox Churches in the United States still recognize the holiday according to the Julian calendar, for example the Russian, Ukrainian, and Serbian Orthodox Churches. But to complicate things even more, the Julian calendar itself was revised in 1923 and this version is more in line with the Gregorian calendar. Some Orthodox churches follow this revised Julian calendar, but many Orthodox churches still follow the more traditional Julian calendar, which as mentioned has the original date for Christian observances prior to the Gregorian calendar’s introduction. So Christmas could technically be celebrated THREE TIMES if you made a real effort (On Georgian: Dec. 25th, Jan. 6th and Jan. 7th!). Either way, everyone will start celebrating at least Christmas Eve on Jan. 6 from Bethlehem to Egypt, and Ethiopia to Siberia. And some Orthodox Church members dual celebrate: Dec. 25th (Gregorian) with Santa and gifts, but retain January 7th (Gregorian) as a beautiful, religious holiday in remembrance of Jesus. The story continues after the image. Christians (actually Constantine) chose December 25 because it was the date the Romans marked as the winter solstice, the shortest, and therefore darkest day of the year, and already celebrated as the pagan holiday, Saturnalia. By choosing this day for “Christmas” it was much easier to get the masses to participate in, and therefore adopt, Christianity. And while most of the nations of the world now use the Gregorian calendar, many keep Jan. 6 as the date of their Christmas Eve celebrations. It was also called Theophany (The Revelation of God) and not Christmas in the beginning. Theophany was celebrated on December 25 (Julian, in those days everyone followed the Julian calendar). Since most followers of Jesus in the early church knew that Jesus wasn’t born in the dead of Winter, Theophany on December 25, originally celebrated the baptism of Jesus by John the Baptist and the beginning of Christ’s earthly ministry. The feast of Theophany is also sometimes referred to as Epiphany by English-speaking Orthodox Christians (but that name more properly refers to the Western Christian feast falling on that same day that commemorates the visit of the Magi to the child Jesus as seen in the pictures above). Of course, Jesus was a Jew, so He Himself would not have celebrated the pagan Saturnalia (which honored the Roman god, Saturn, on Dec. 25th), but probably celebrated the Festival of Lights (Hannukah). the Jewish holiday commemorating the (re)dedication of the Holy Temple (the Second Temple) in Jerusalem at the time of the Maccabean Revolt as told in First and Second Maccabees. The Jewish historian Josephus talks about it in Jewish Antiquities XII, how the victorious Judas Maccabeus ordered lavish eight-day festivities every year in remembrance of the (re)dedication of the Temple in Jerusalem. More to this story after the image. 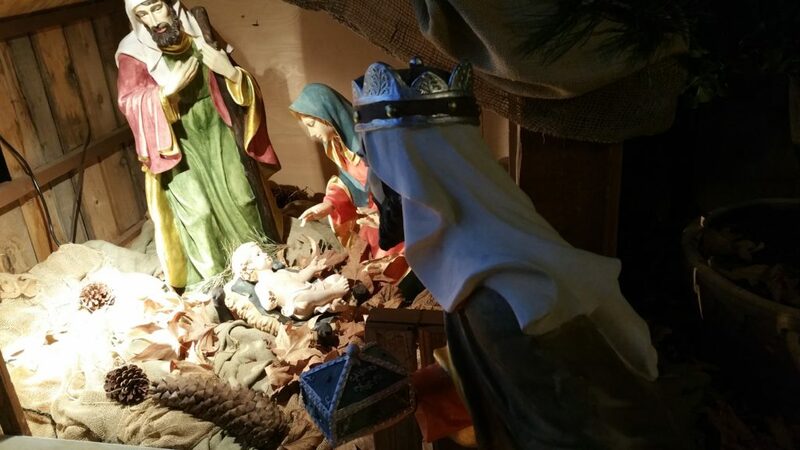 As a humble baby, Jesus’ birthday wouldn’t have been celebrated anyway, since only the most eminent and powerful had “birthdays’ that were recognized or memorialized. But what fun is that? We wish you a blessed Christmas, December 25th (Julian calendar)! And if you are planning on traveling somewhere in order to celebrate Christmas twice, don’t forget good travel insurance (or if you are living overseas already, affordable expat health coverage)! Feel free to share this story and link! 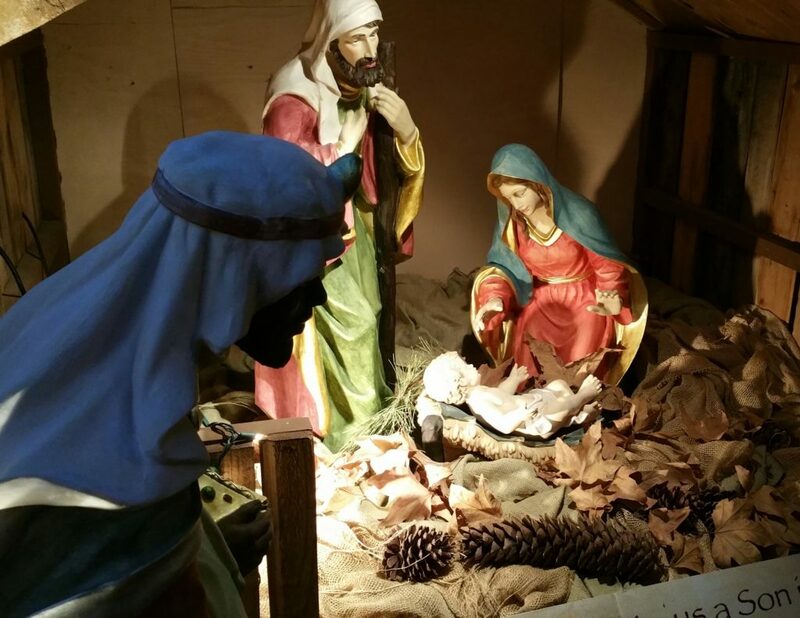 Blog Home > International Travel > Celebrate Christmas on January 7?